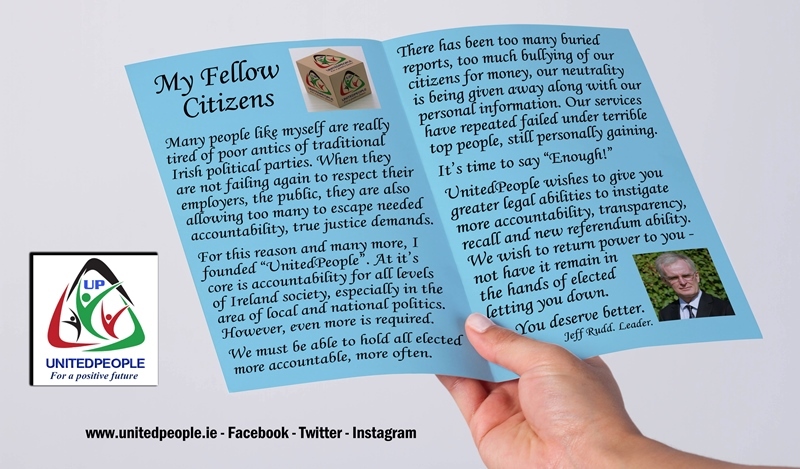 Public Services Card – Why The Secrecy?The JobPath Scandal That Fine Gael is Trying To Bury.December News ClipsFianna Fail Members Are Not Happy At AllHomeless Crises Affecting BusinessesAngry Rural Ireland & A Decaying Fishing CatchMore Fatal Cancer Signs That Better Is RequiredUnofficial Election PR Continues.Murder Of A Journalist & Worldwide Double-Standards.School Costs – Still A Substantial Issue. Why? 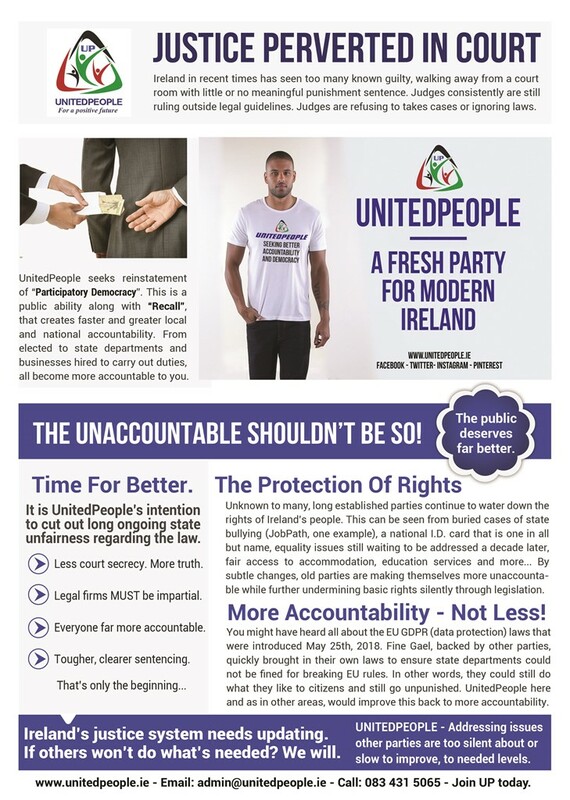 UnitedPeople supports the PosterFree campaign for local and national elections. 100 Locations and 80 candidates are being kind to their environment by going pole poster free. 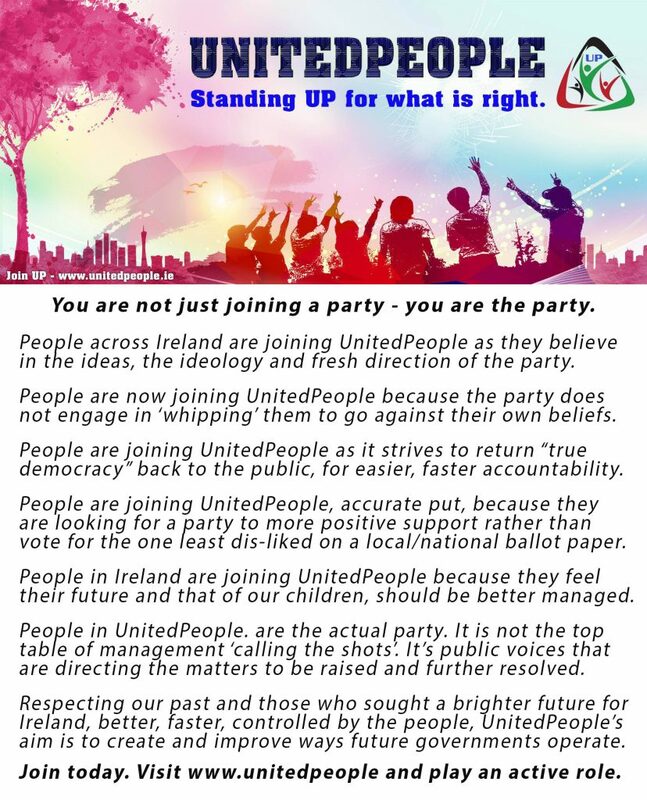 UnitedPeople has been the first party to listen to what the public and Tidy Town Ireland has long called for. True democracy in action. The people of a nation gain greater opportunity for positive improvements and hold to account those who would stray from an honest path. 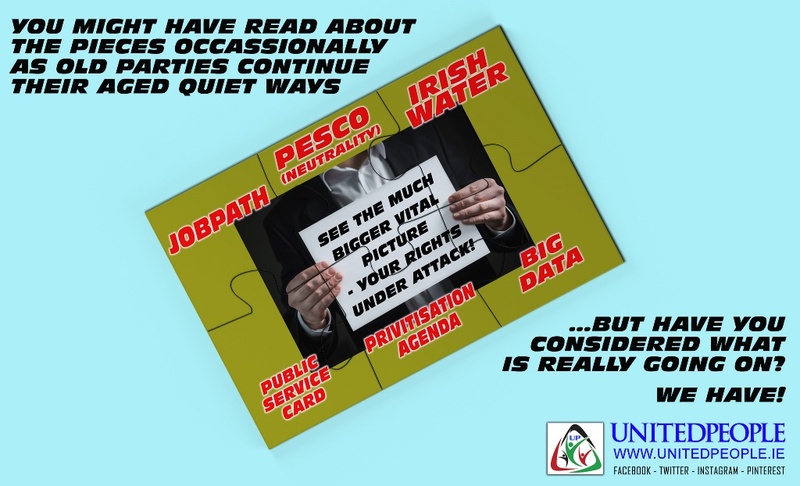 Some of the topics UnitedPeople is vigorously pursuing. 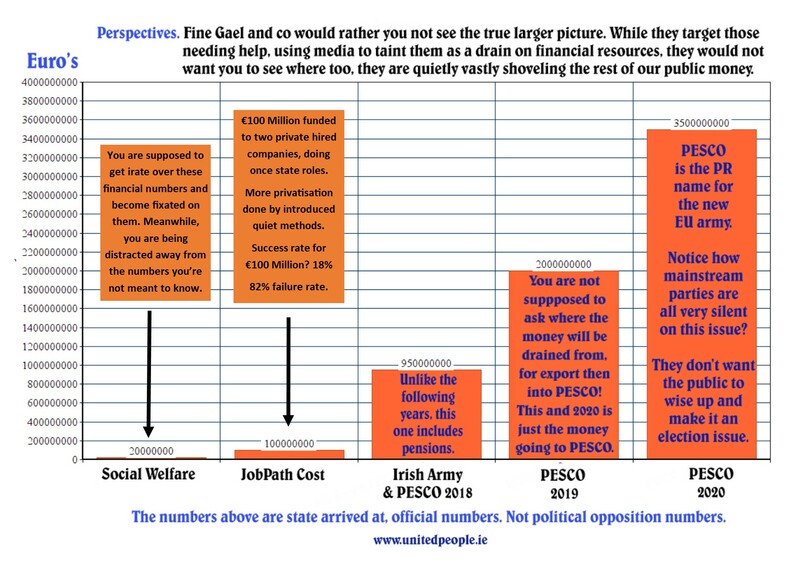 Exposing an agenda that was never public voted for, we detail how older parties are giving away state assets. 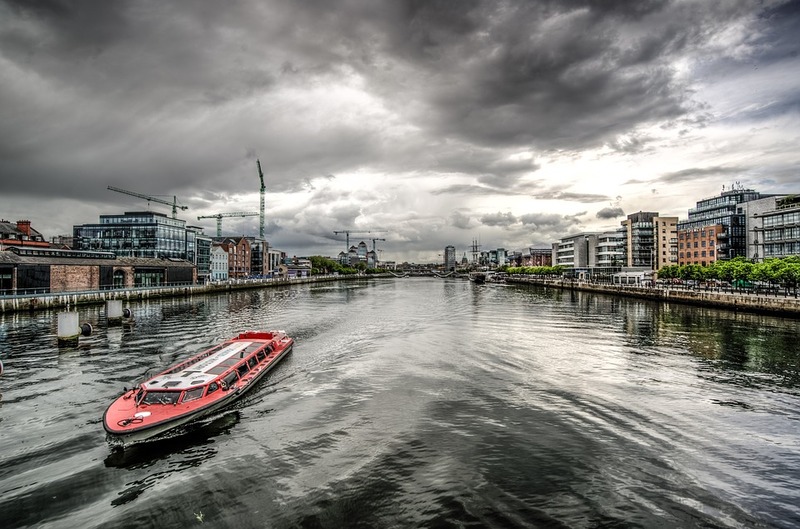 A better working transport system is vital for increasing national tourism, employment and more, for Ireland. 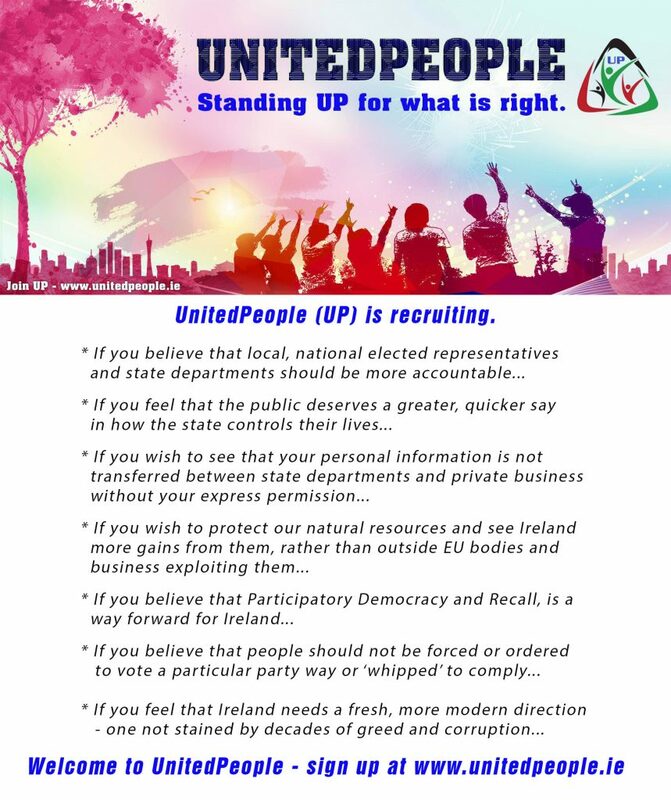 Since UnitedPeople was founded it has sought to protect the personal information of citizens in Ireland. 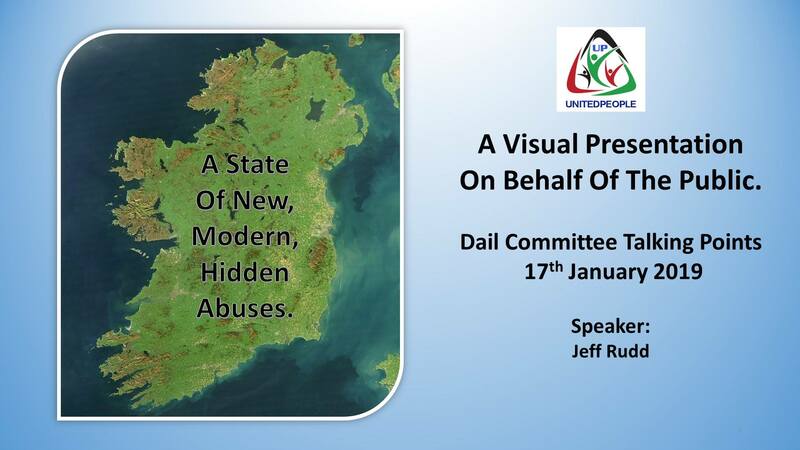 Off To The Dail We Go. 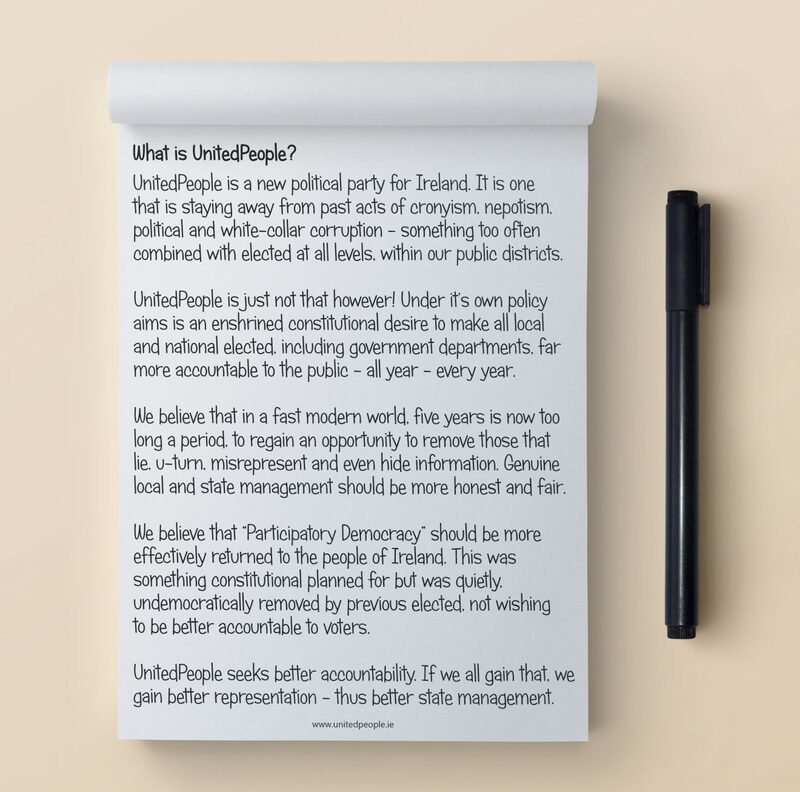 The very first people to give Dail testimony for the 2019 new year regarding the JobPath scandal were UnitedPeople leader Jeff Rudd, assisted by Damien Fagan. Both had been formally invited to present themselves and along with the material related to the UnitedPeople three year investigation of the state setup. 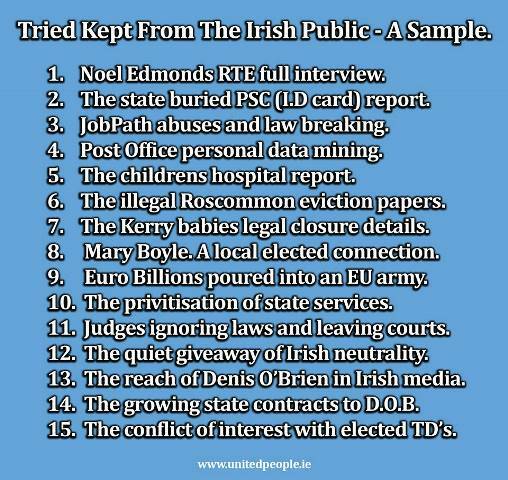 Speaking to TD's and asnwerring their questions, the exposing of JobPath as it existed and still currently exists, was made clear to waiting TD's. 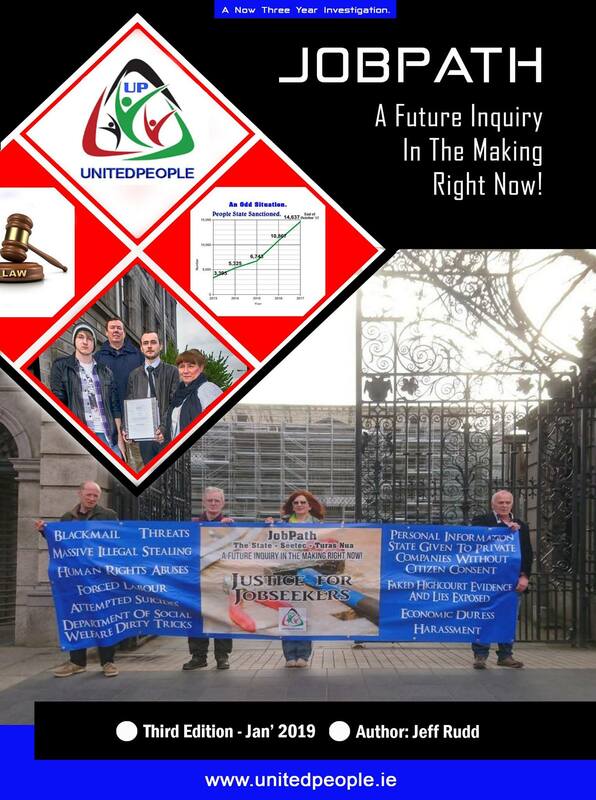 To find out more that is the mega-costly, human rights abusive setup that is "JobPath" go HERE to discover more. 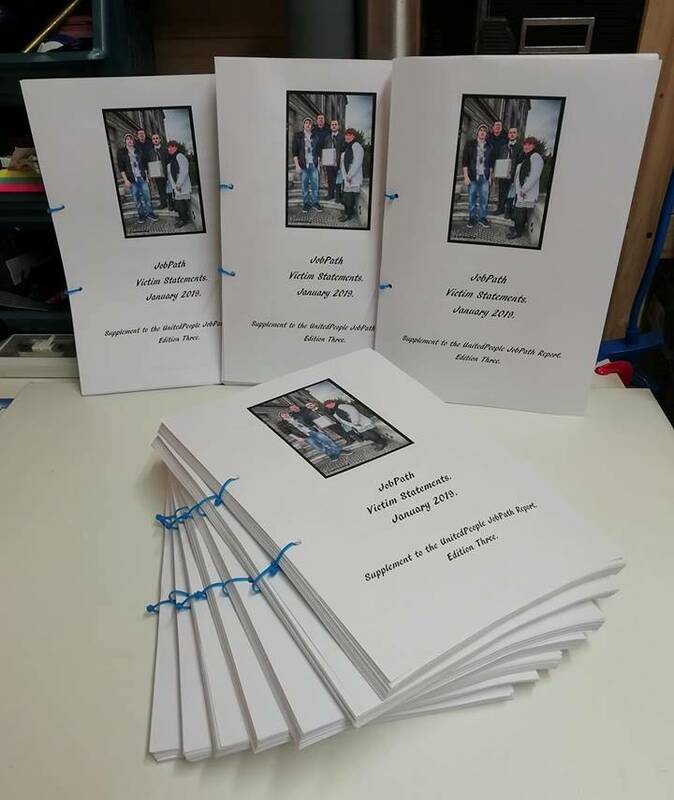 Click Here To DownLoad The Three Year Investigation Documents. Ireland, a beautiful country of world renowned friendly people. 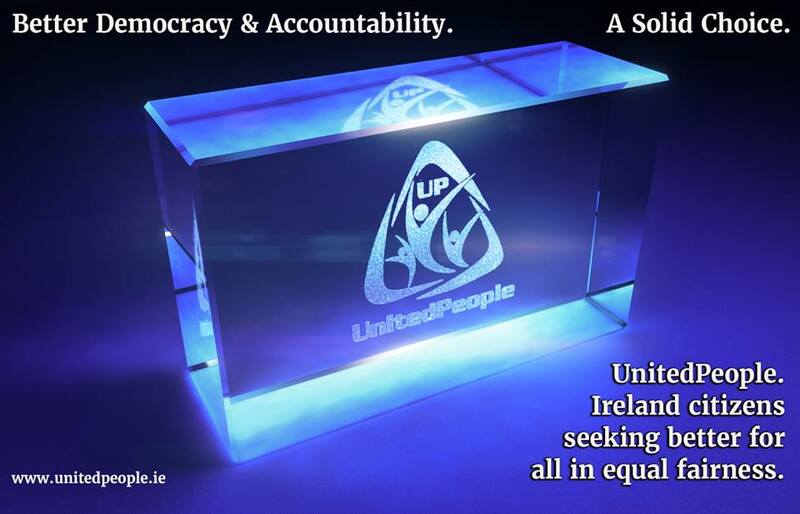 The care and preservation of both is a UnitedPeople principle. 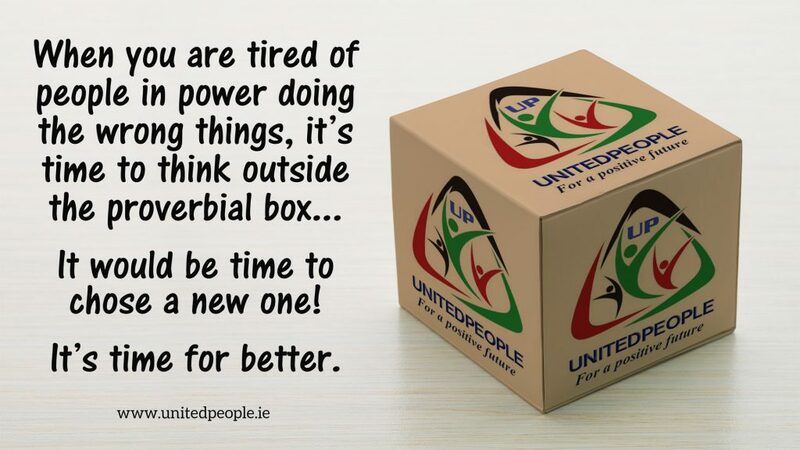 UnitedPeople was founded alongside the banks of the historic Boyne river. Since then people have joined from all counties. As many seek a fresh improvement to decades of corruption, poor or no transparency and accountability, the party grows. 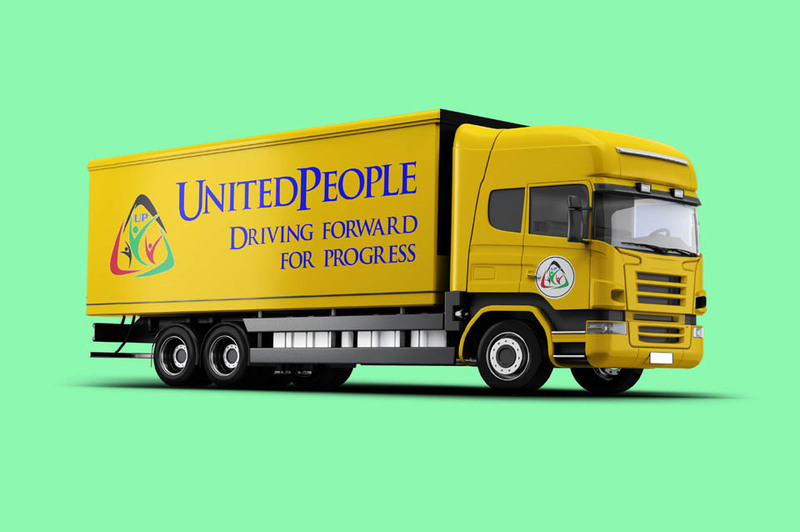 UnitedPeople is now national and local movement for improvement. 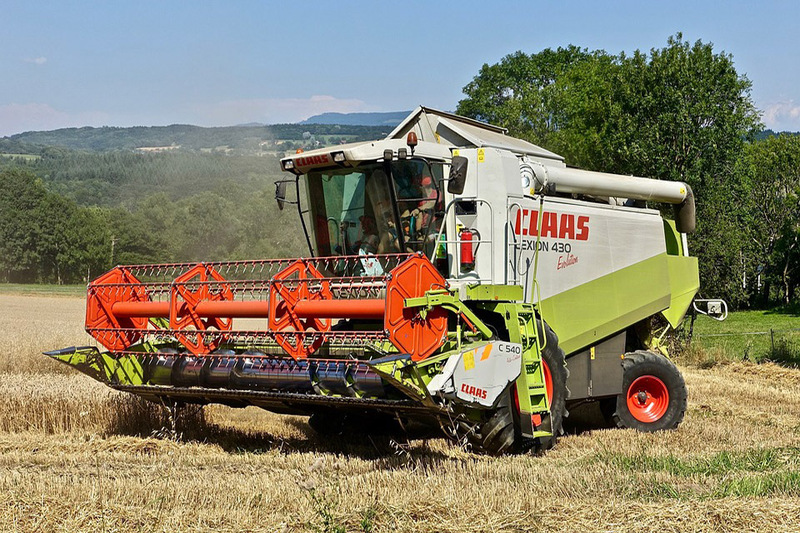 Join today - Click HERE or at the bottom of the page. REFUSING TO HEAR A CASE THAT'S BEEN ORDERED TO BE HEARD. The Government hiding more for their employers. That's you! Again, no one will be accountable and named. 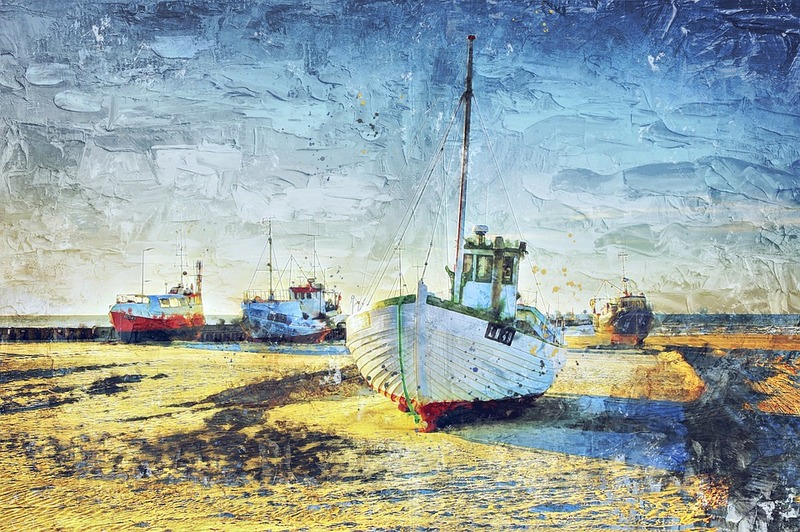 I'm a product of my Irish culture, and I could no more lose that than I could my sense of identity. “When anyone asks me about the Irish character, I say look at the trees. Edna O'Brien, Author "The Country Girls". 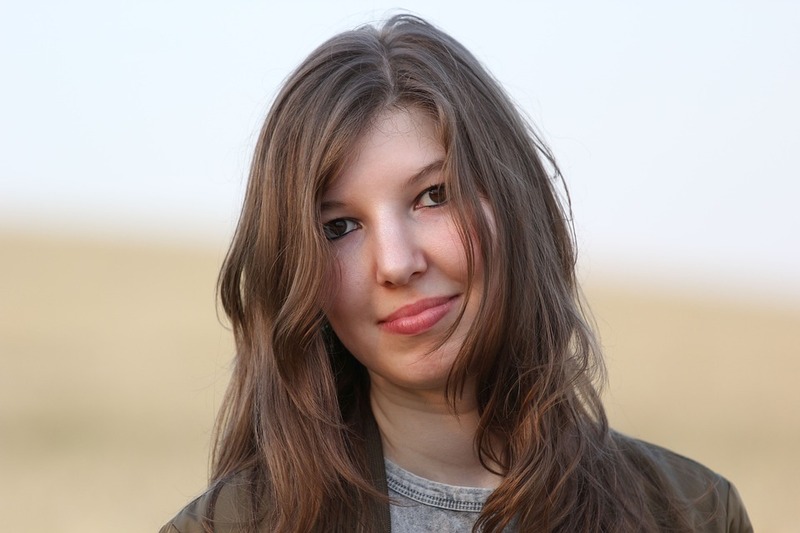 Jennifer Armstrong, Becoming Mary Mehan. If you're Irish, it doesn't matter where you go - you'll find family. Click here to send us your thoughts, concerns or questions. 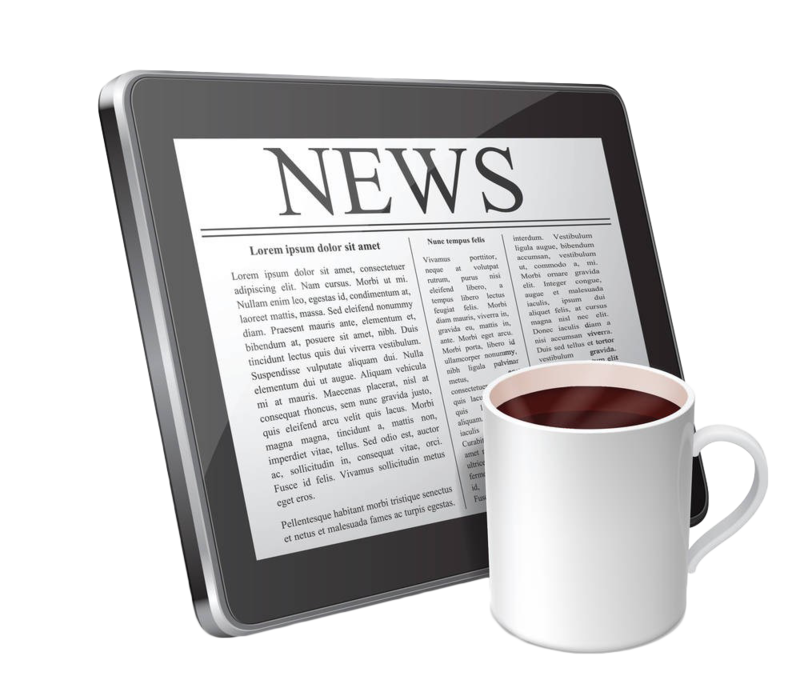 Subscribe to our newsletter and stay informed. Just fill in the box below. 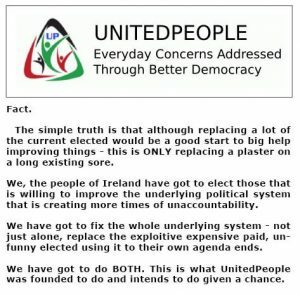 Join our mailing list to receive the latest news and updates from UnitedPeople. 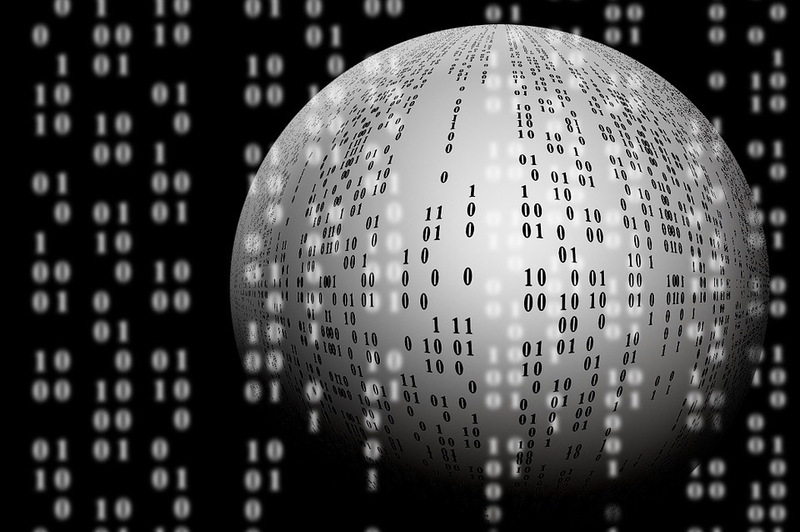 Discover information being kept from you, useful links and more.